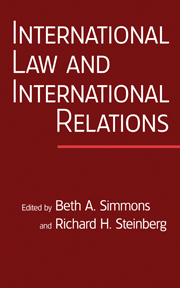 The International Organization book series includes readers and special issues. Readers collect the most prominent IO articles on important topics in political economy and international relations. Special issues are reprints of IO issues that present new research on cutting-edge topics in the theory and empirical study of international relations. The book series provides fundamental and applied research in a convenient format for teaching and research.